Universal Appliances, Ottawa’s appliance expert can help you find the right top-of-the-line appliances. Our showroom located at 1915 Bank St. displays over 20 leading appliance brands such as Thermador, Bosch, Miele, Sub-Zero, Monogram and many more. Our experienced delivery team will uncrate your appliances and place them in your desired location. All external packaging will be taken away, and your items will be inspected for any damages due to transport. We will make sure your home is well cared for during the entire delivery process. If you will be needing your older appliances removed, please make sure they are disconnected prior to your delivery. Installation of your new appliances can be arranged but is not included with the purchase and delivery of your appliances. 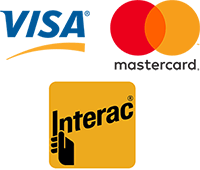 Universal Appliances is pleased to accept the following methods of payment: Cash, certified cheque, money orders, VISA, MasterCard, and debit. See store for details. At Universal Appliances, our top priority is our customer’s satisfaction. If a service problem presents itself with your appliance, we want you to contact us immediately. We will always be here to assist you in making the proper service arrangements for your appliances. When you purchase your appliances from Universal Appliances, you’ll be given all the attention needed to make the right choices for you and your kitchen. You can shop in a no pressure environment with a knowledgeable sales person at your disposal. We will present you with a wide variety of choices for all your appliance needs and guide you through the purchasing process straight through to the delivery and final installation of your appliances. In a competitive market we promise to deliver great service and great deals, so you can be sure you’ve made the best choice for you and your family. The merchandise must be the same brand and model, advertised in the same trading area, under the same terms and conditions, finance terms, (including any administrative fee or delivery charge) and must be in stock and available at the advertised price. Our price match is based on the overall net pricing of a package (multiple products) not individual pricing. We take into consideration all additional charges such as delivery, removals, taxes, rebates, and manufacturer’s promotions (such as gifts with purchase). We can also price match multiple products from multiple competitor locations. All you have to do is bring in the paperwork indicating the lower price you have found elsewhere, and if your product qualifies, we’ll gladly price match it for you. It’s that simple. *We reserve the right to selectively choose when we will or will not price match for a customer. Many factors come into play when price matching, including the type and brand of product in question, and as such we implement the Price Match Guarantee on a case-by-case basis. We will NOT price match dollar for dollar on any web-only competition. Our Price Match Guarantee does not apply to advertised price errors (online, in print, or otherwise), rebates, coupons, free bonus offers, clearance items, factory closeouts, store opening specials, time specials or limited quantity offers (e.g. Boxing Day, Black Friday), builder rebates, auction website prices, licensed departments, club retailers, co-op or wholesale purchases, U.S. or Internet-only retailers, bundle promotional offers, or products sold without a manufacturer’s warranty.